Cocktails were created as a combination of drinks to open the desire for food, celebrate occasions and as an element of elegance and distinction. From the beginning, around the 19th century, wine has been one of the ingredients. Nowadays, wine is a key component in the world of cocktails, offering a large number of options and possibilities. It is a non- expensive drink, used for quality cocktails, with a great flavour. We encourage you to try. 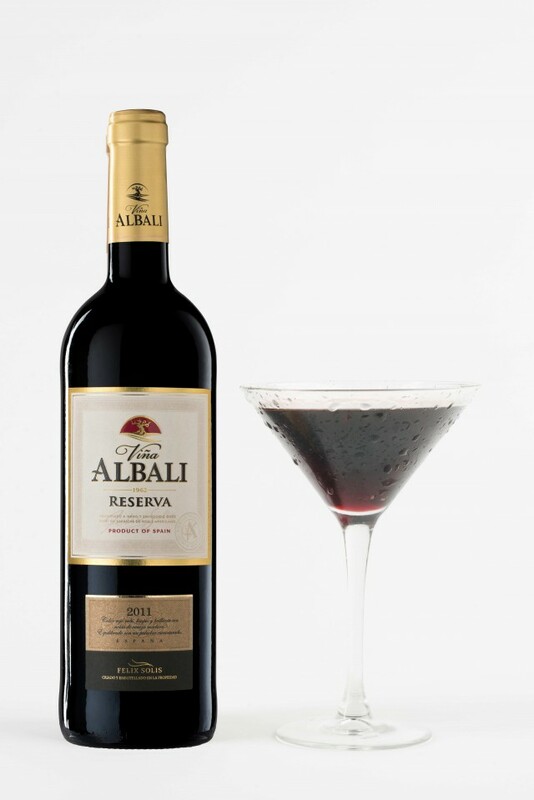 This cocktail uses Viña Albali Reserva, a very versatile wine of an intense cherry colour, with complex aromas of vanilla, chocolate, spices and sugar fruit. Soft and pleasant in the mouth. We created Viña Albali Dark Addiction, perfect with chocolate. Wine, combined with this ingredient offers rich textures, aromas and flavours, perfectly assembled. Mix well and decorate with chocolate chips. Serve very cold.